Does Listening Count as Reading? For the first time in several years, I have a regular driving commute. Not to work. I still have the same job to which I walk. But my mom lives in town now, in a nursing home about five miles from my house. That’s a 30 to 40 minute round trip, depending on traffic and weather. I’m making it out there five times per week, so far. My attempt to make lemonade out of fossil fuels involves checking out lots of music CDs and audio books from the public library. Currently, I’m listening to Haven Kimmel’s memoir, “She Got Up Off the Couch.” I’m getting a real kick out of it. But I have a dilemma about what to do once it’s finished. See, I have these weird OCD habits about keeping a record of what I’ve read. Should I add this book to the list? It was much simpler when my kids were little and I was listening to children’s audiobooks with them on occasion. Because my rules don’t require me to list things read for someone else’s benefit. I’ve never counted seeing a movie the same as reading the book from which the movie was made. But this is an unabridged actual reading of the real text. Does it count as reading? Since my schedule is ever more full, I’m trying to make up for lack of looking at text time by using audiobooks as a substitute. I don’t have a problem with listening to a book. My only problem comes with saying, even just to myself, that I read it, when really someone read it to me. For purposes of accommodating my own personality quirks, I think I may have to embrace the asterisk as my savior. This entry was posted in book list, books, musings and tagged audio books, driving, personality quirks, reading. I have the same problem! 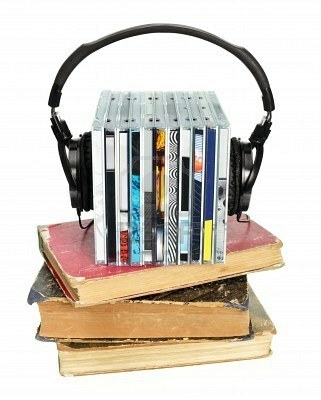 I created a list of audiobooks in conjunction with my book list. Though it feels like cheating somehow. But I guess the bottom line is the author would like us to get enjoyment out of the book. Oh, yeah, it does! I have a review website, and the audio books I’ve listened to on occasion (usually while traveling) count just as much as any that I’ve read on paper or Kindle.